FEIN power tools has held an important advantage over other manufacturers: the invention of the first power tool. In 1895, Wilhelm Emil Fein set a technical milestone in building the first power tool ever: an electric handheld drilling machine. This groundbreaking iinvention significantly lightened the workload of untold workers iin a variety of fields in both industrial-scale manufacturing and manual trades. Clairton Industrial Tool & Supply is a proud distributor of quality FEIN power tools. 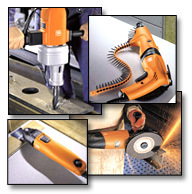 Browse our extensive selection of FEIN power tools listed below. 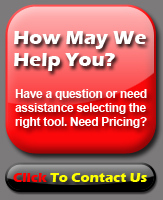 If you have a question or need assistance feel free to call us at 1-877-477-8865. Since 1895 FEIN Power Tools have held an important advantage over other manufacturers: the invention of the first power tool. In 1895, Wilhelm Emil Fein set a technical milestone in building the first power tool ever: an electric handheld drilling machine. This groundbreaking iinvention significantly lightened the workload of untold workers in a variety of fields in both industrial-scale manufacturing and manual trades. Have a question or need assistance in selecting FEIN power tools?